Scythe has presented its latest cooler – a device that goes by the name of Iori. Designed as a smaller-sized CPU cooler for Mini- and Micro-ATX systems, Iori makes use of an improved version of the push-pin mounting mechanism that makes it possible to quickly mount the cooler on any motherboard out there. The Iori measures 107 x 92 x 136 mm and weighs just 400 grams. 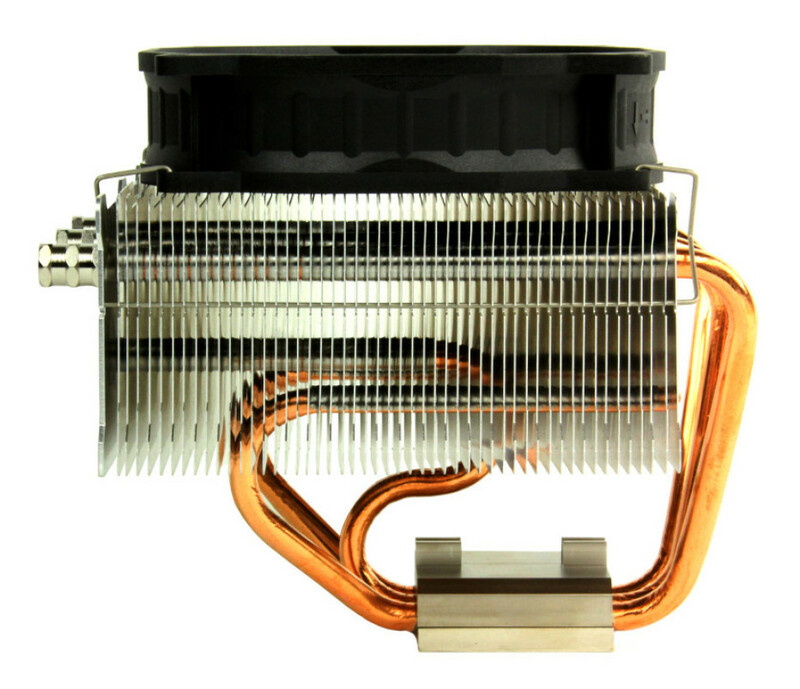 It includes three 6 mm copper heat pipes that cross the heat sink twice and a custom-made 100 mm PWM axial-fan that spins between 300 and 1800 rpm. This allows the fan to push between 7.3 and 43.74 CFM at noise levels that range from 4.5 dBa to 26.7 dBa. The Scythe Iori also boasts excellent compatibility – the cooler supports Intel LGA 775/1150/1155/1156/1366 processors and AMD AM2/AM2+/AM3/AM3+/FM1/FM2/FM2+ processors. All necessary mounting clips as well as some thermal grease can be found in the cooler package. The Iori is available now for a price of EUR 24.50 with no VAT included.